Christmas is rapidly approaching and I’m nowhere near ready. It isn’t that we do a lot for Christmas – we don’t – but I do like to send out a few cards to some special people in our lives. 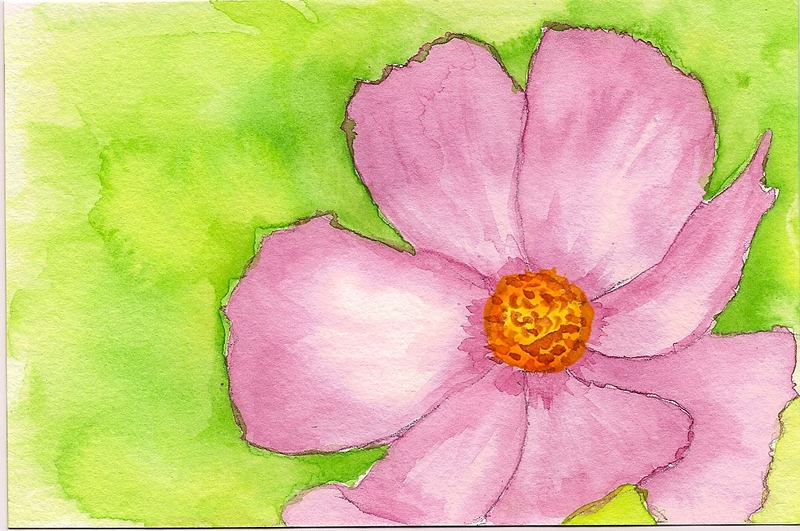 I usually make my own cards from one of my own photos or a photo I’ve found online (from a site like stock.xchng). They’ve always turned out well and, I think, been well received. This year, however, I’m doing something different. 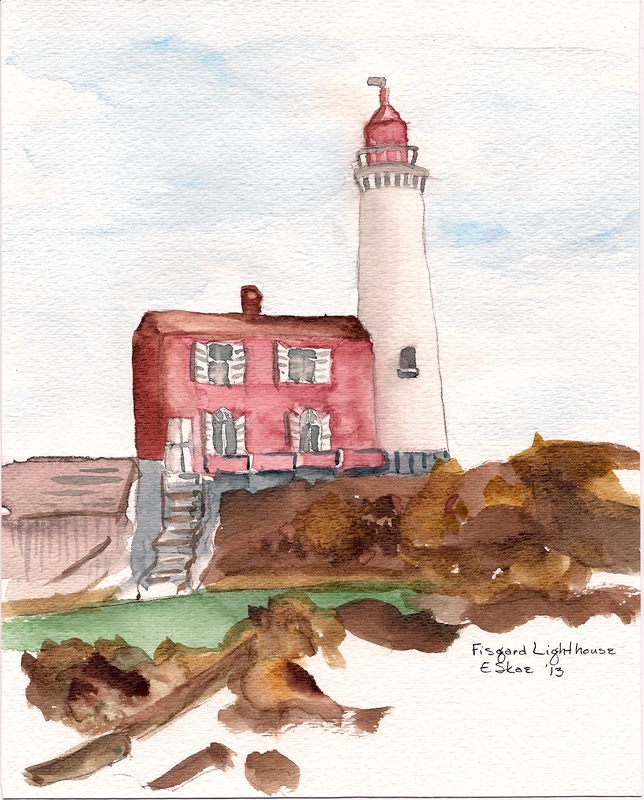 Having taken up water colour painting, it’s only logical that I paint something to be used for my cards this year. It’s an agonizingly slow process, unfortunately. I mean, it is for me. It’s taken a couple of weeks to decide the best way to tackle this little subject. This week, it all came together and I’m finally making some progress. There’s still some work to do on the painting but I should have it finished this weekend. 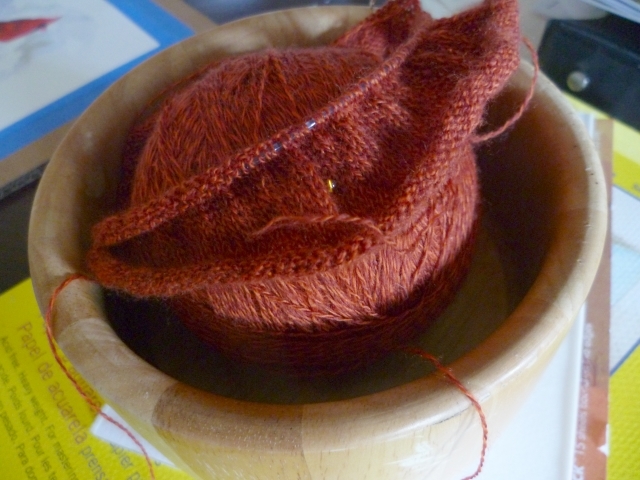 In addition to the painting coming together, I’ve also been doing some knitting this week. 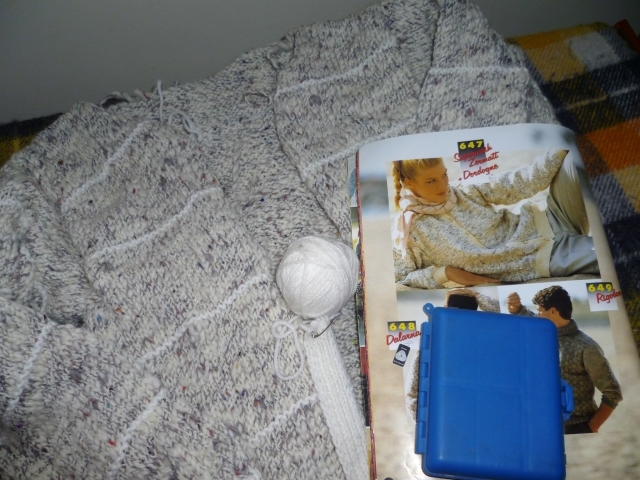 It’s a very simple knit but I anticipate that it will take a while to finish this project. 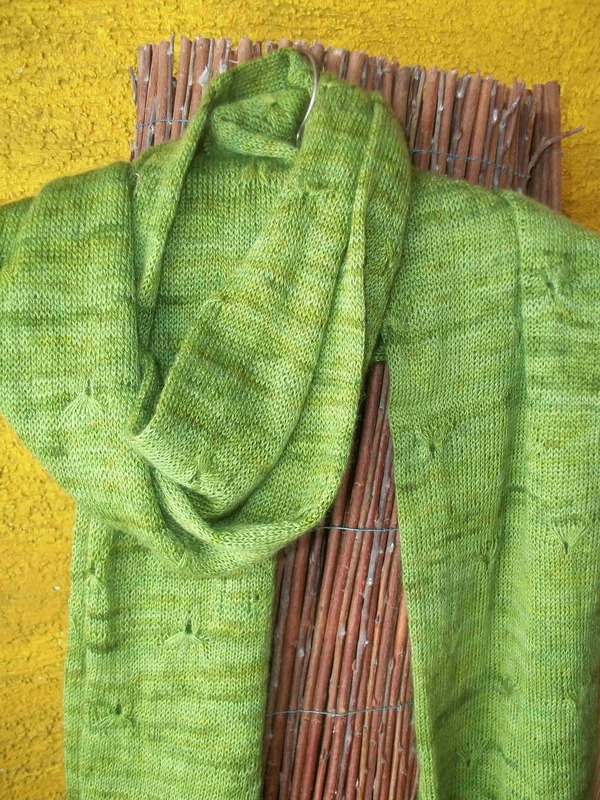 The pattern is Less Is More by Phazelia and is a free Ravelry download. The scarf in this picture is not mine; it’s a picture from the pattern. Here’s mine… all 2″ of it. The reason it could take a while to finish this scarf is that it is knit with lace weight yarn on 2.5 mm circular needles. That’s some pretty fine knitting. 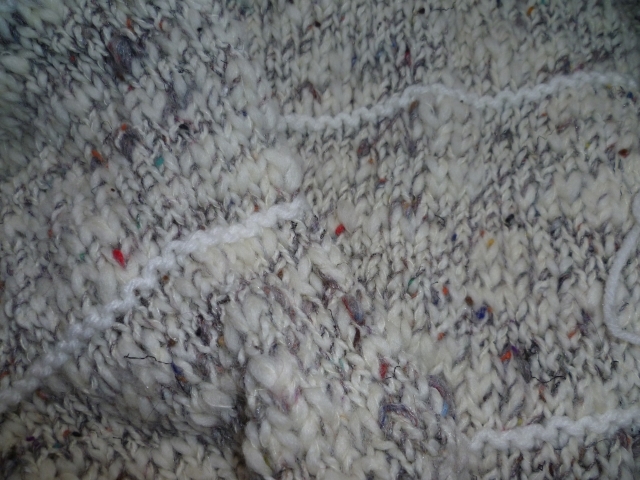 The scarf is a long tube with “tufts of grass”, visible in the top picture. I’m making the tufts and I’m adding some complementary glass beads. Both the tufts and the beads are placed randomly, wherever I’m inspired to put them. At this point, I’ve made two tufts and place one bead; I have a long way to go! It’s been pretty cold here this week; right now (at about 12:30 p.m.), the temperature is a balmy -12ºC (11ºF) but the sun is shining and the sky is clear. There’s still a bit of snow on the ground and there’s a possibility of more on the way but at least today is a clear, sunny day. I’m already tired of the dark and dreary days we’ve been having lately. We don’t really want to go out but there are groceries that are needed and I really would like to stop in at Opus, our local art supply store. Once we get back, the painting will be worked on again… and finished! I should feel badly about not keeping up with this blog, shouldn’t I? It must seem that I’ve been ignoring it, and you, for some time now. That isn’t true, though. There really hasn’t been much to blog about. Life is just ticking along at it’s usual pace, one day fading into another as they go by in a blur. Then it’s the weekend and there’s plenty to do around the house in preparation for the next week. However, I am still here. Life’s been busy, work has been busy, weekends have been busy. And inspiration, sadly, has been pretty much non-existent. That said, I did accomplish one small project this week. One of the ladies I work with and I were talking about a mobius strip last week and, being a knitter in the know, I asked her is she’d ever knitted one? She thought about it and asked if it wasn’t just a scarf made into a mobius by giving it one twist and sewing it together. When I tried to explain mobius knitting to her, she didn’t understand any part of it. 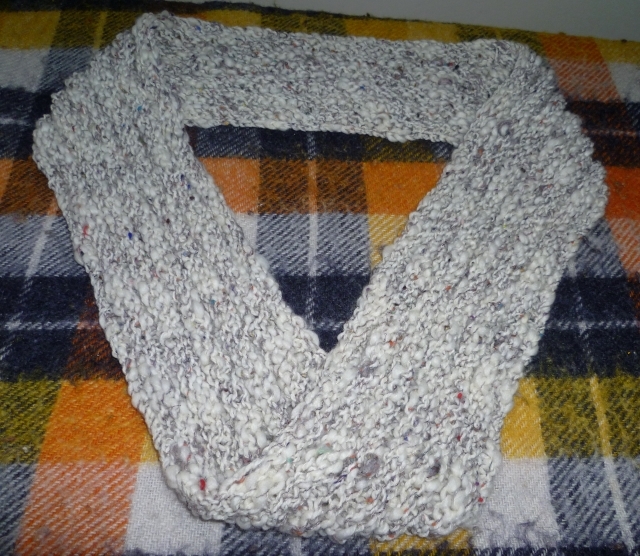 So I made a mobius scarf. I brought Cat Bordhi’s, “A Treasury of Magical Knitting” to work to show my co-worker and even it elicited confused and puzzled looks. It wouldn’t hurt me to smile, would it? 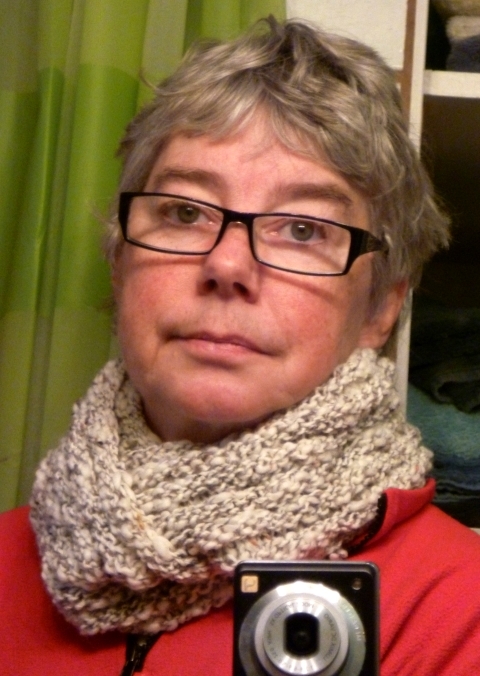 I like this cowl/scarf. The yarn is ancient. I do mean that. Years ago, before my youngest daughter was born, I knitted myself a really nice cardigan. There was just one problem. Let’s me put it this way – I wore it to the hospital the day she was born. The cardigan was buttoned up and there was still room to spare. Yes, it was far too big for me. I reclaimed the yarn and eventually re-knit (mostly) the cardigan but never completely finished it because… well… because now it’s too small. So, the yarn is fair game. I will not knit this cardigan a third time. It is, incidentally, Scheepjes Dordogne; I doubt it’s even made anymore. In other knitting, John’s sweater is languishing in a basket in my living room. I’m up to the armhole shaping but just can’t seem to get motivated to work on it. I’ve been spending more time cooking on the weekends than I have knitting. He has mentioned more than once, though, that it would be nice to have a new sweater by Christmas. Yikes! The pressure!! I’ve also been doing a bit of painting. A few weeks ago, I painted this little painting from a photo I found online. I wasn’t completely happy with it, to be honest so I tried to paint it again. I’m much happier with my second attempt. My next project will become our Christmas cards this year. I have to say, I’m really having fun with my watercolours. Incidentally, if you’re interested, I’ve added a page to the blog. In the upper right corner of this blog, you’ll see a tab with the different pages on this blog. There you’ll find a page entitled “From My Palette”. That page is where I’ll add my paintings as they’re done. Yeah, like I need another hole in my head. However, I have taken up a new hobby. Don’t get me wrong, I’m still knitting; I’m still taking walks with my camera in hand. I’ve added water colour painting to my repertoire and, I have to say, I’m really enjoying myself. Speaking of knitting, there has been progress on numerous fronts. I’m up to the armholes on John’s sweater and I’ve almost finished a new pair or wristwarmers for myself and even the 10-stitch blanket has seen progress. Now that autumn has arrived in all its glory, more knitting will be happening. 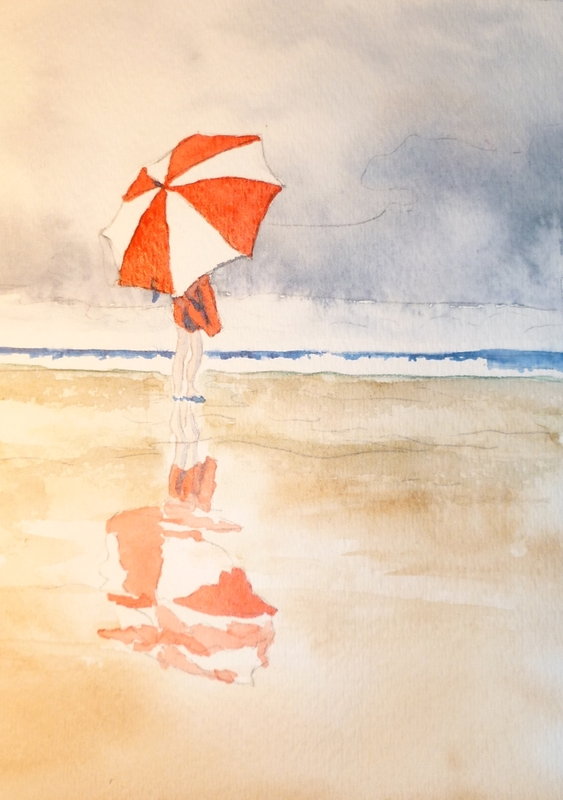 I’ve always wanted to learn how to use water colour paints. I remember when my son was in high school and he would come home with some of his art projects (his teacher insisted that he absolutely HAD TO take art and even won an art scholarship to Emily Carr when he graduated, even though he never went); I was so jealous and wanted to try it, too. However, I never did. 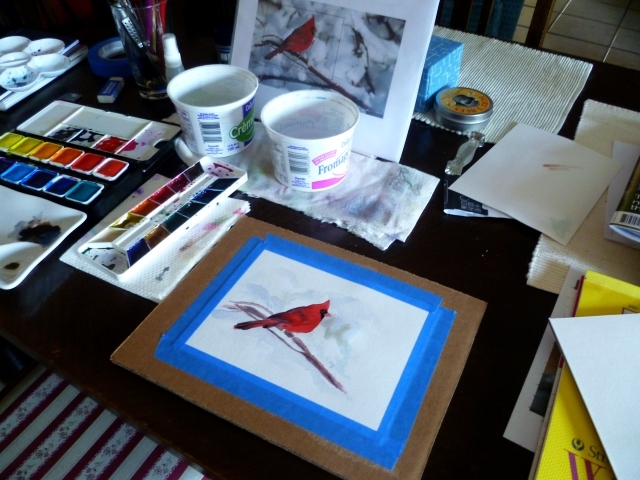 Earlier, this summer I asked one of our customers, who comes in to have art cards made up where I could go for lessons. She referred me to the woman who taught her and I signed up. We’ve completed two weeks of the ten week course so far. 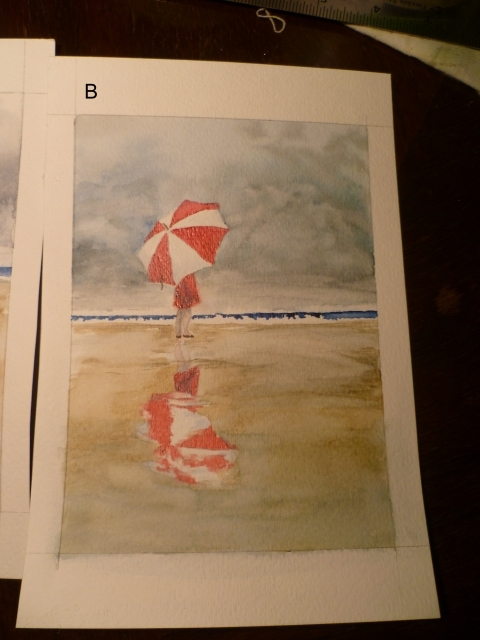 Normally, I don’t take classes but, in this case, I knew I needed someone to teach me some of the techniques used in water colour painting. I’m so glad I did! Please, don’t get me wrong; I don’t intend to brag or boast about my awesome talent; I’m realistic enough to know that I’m no expert. It’s just something I’m excited about and something I’m really enjoying and wanted to share.